The objectives of Head Start are based on the idea that all children deserve the opportunity to enter school ready to learn and that children’s readiness depends on their educational experience, their physical and mental health and the involvement of their parents and families. The improvement of the child’s health and physical abilities, including appropriate steps to correct present physical and mental problems and to enhance every child’s access to an adequate diet. The improvement of the family’s attitude toward future healthcare and physical abilities. The encouragement of self-confidence, spontaneity, curiosity and self-discipline which will assist in the development of the child’s social and emotional health. The enhancement of the child’s mental processes and skills with particular attention to conceptual and communications skills. The establishment of patterns and expectations of success for the child, which will create a climate of confidence for present and future learning efforts and overall development. An increase in the ability of the child and the family to relate to each other and to others. The enhancement of the sense of dignity and self-worth within the child and his or her family. 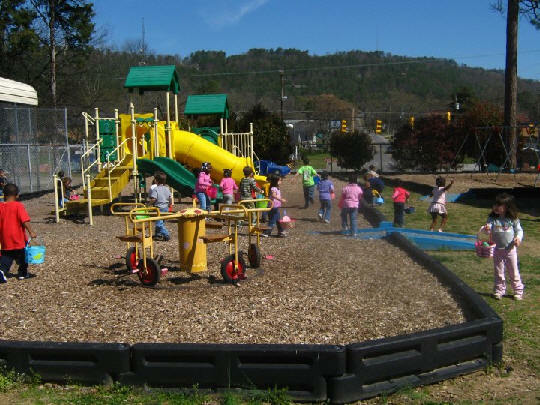 The Gadsden - Etowah County Head Start Program subscribes to the philosophy that everyone has individual worth. It is further believed that one's quality of life can be significantly improved if appropriate experience and opportunities are provided by Head Start,coupled with community linkages to generate productivity, self-esteem and self-sufficiency of the Head Start family. This agency is compelled to assist families in recognizing their determination and reinforcement of existing strengths to the fruition of childrens and families' social competence.